Congratulations to Salmon Arm West Elementary! 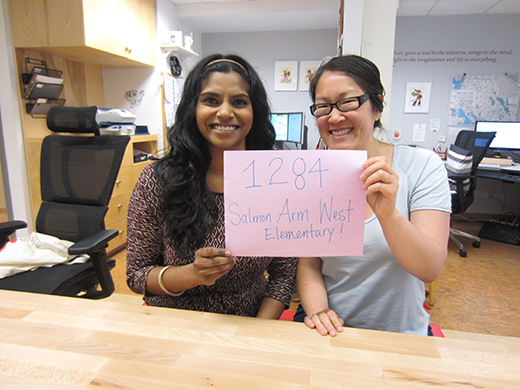 Congratulations to Salmon Arm West Elementary in Salmon Arm, BC! They are the winners of $800 of ArtStarts dollars to be used to fund a performance in their school. As we announced this Spring, schools and districts that submitted a booking request before the end of June were entered into the draw. Our booking and touring team, Sarah and Rekha, were excited to do the draw — and happy to be able to give students this opportunity. The students at Salmon Arm West Elementary will be enjoying a visit from an artist or group in ArtStarts' Artists on Tour Directory during the 2013-2014 school year. Enjoy the performance!